The Rivetti family, which owns this estate near Pisa, is admirably committed to producing wines made from autochthonous grapes — Sangiovese, Colorino, Prugnolo Gentile, and Vermentino — rather than the more fashionable international varieties. 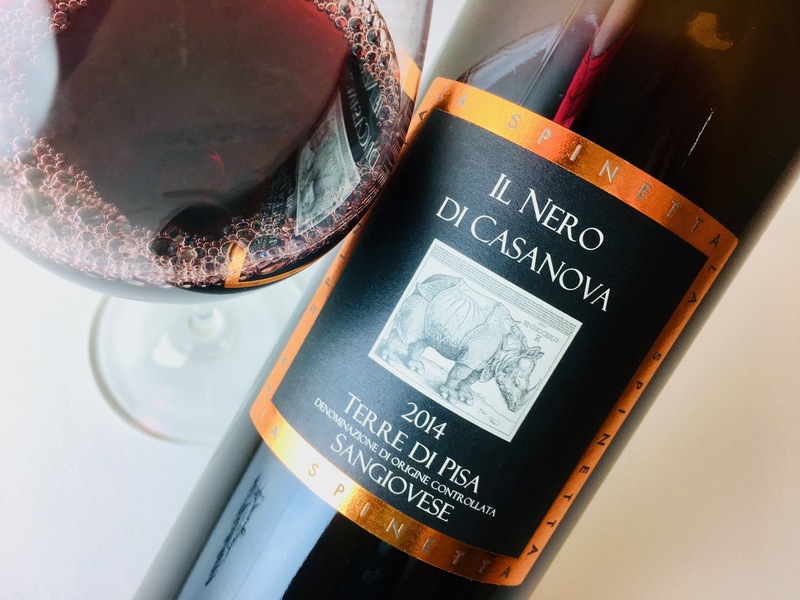 This wine is their entry-level Sangiovese, light brick red with tawny glints and aromas that mix fresh cherry-berry fruit with compote and dried flowers (particularly rose and hibiscus). The frame is fleshy, unencumbered by oak and a little candied, especially on the finish, which blooms again with potpourri and red licorice. Fey and a little sweet-seeming, it’s actually terrific with salty appetizers: cheeses, cured meats, roasted nuts, cheese straws. Or, pair it with pork, poultry, or rare red meats. It makes a fine pizza wine.